The Xiaomi 70 Minutes Smart WiFi Car DVR dashcam is a 1080p (FullHD) dash cam that retails for a very reasonable price. It features a 130 degrees with a Sony IMX323 image sensor (F2.2, known for its good video quality even in low light conditions), and is equipped with a shock sensor and can be controlled with an app (over its own WIFI network). 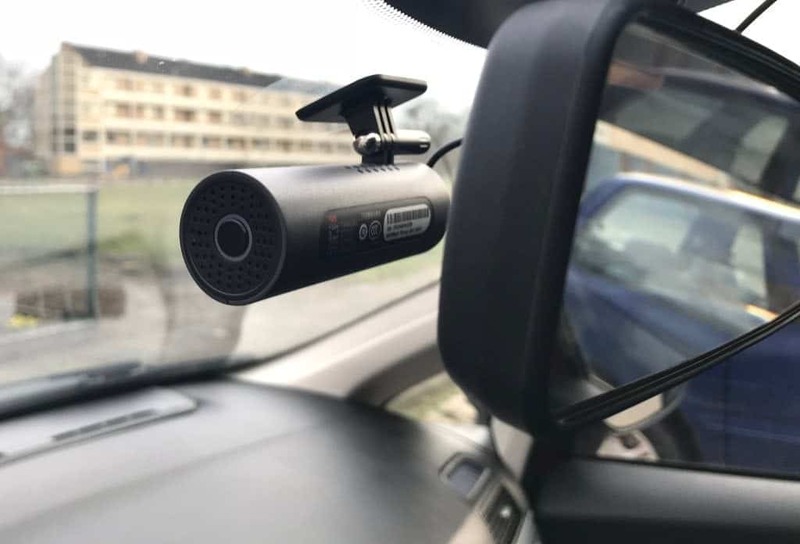 Can this product compete with other dash cams in the market? 5 Does it fit your mailbox? You can buy the Xiaomi 70 Minutes Smart WiFi Car DVR at Gearbest, the price is around € 35. The product is sold under the name Xiaomi, which raises the bar a little bit on the aspects of design and overall quality. 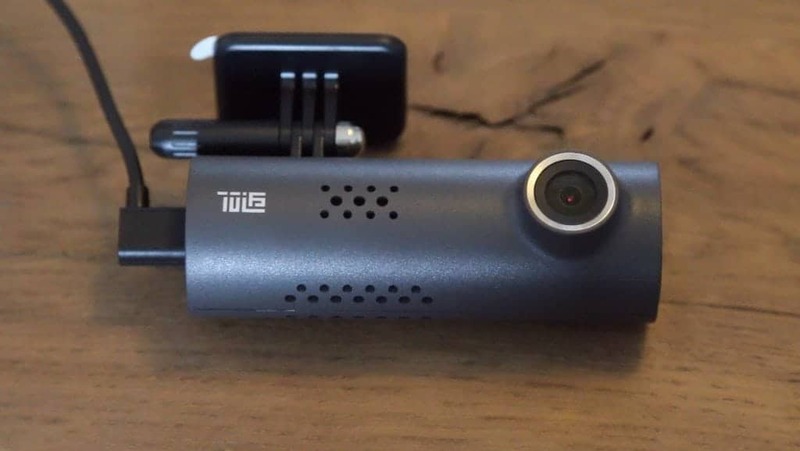 Expected is that the product is for people who buy their first dash cam: it sounds like a complete package (except for the SD card) to get you on the road. If the image quality of the Sony IMX323 image sensor meets the expectations, even the more serious dash cam users will probably be happy with the Xiaomi. Drivers that are required for their profession to have a dash cam running will probably miss functions like GPS and a separate remote control. 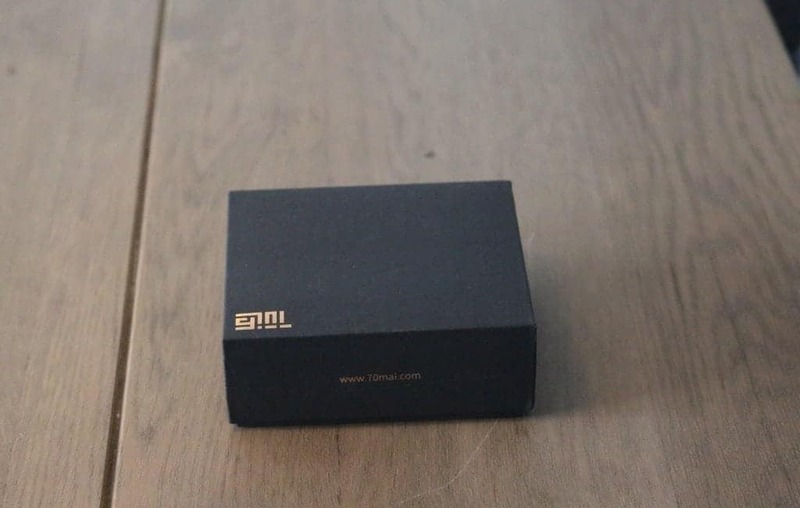 The product is shipped in a lovely black box. No. The dimensions of the box are not that big, but the height (5.00 cm) will be an issue. The build quality is good. When you first get the dash cam out of the box, it feels lighter than expected. The body is all plastic but it does not feel cheap. The accessories accompanying the dash cam feel durable, especially the 3.5 meter USB power cable. The 12V car charger feels less durable than the camera and the power cable but is still more than acceptable. 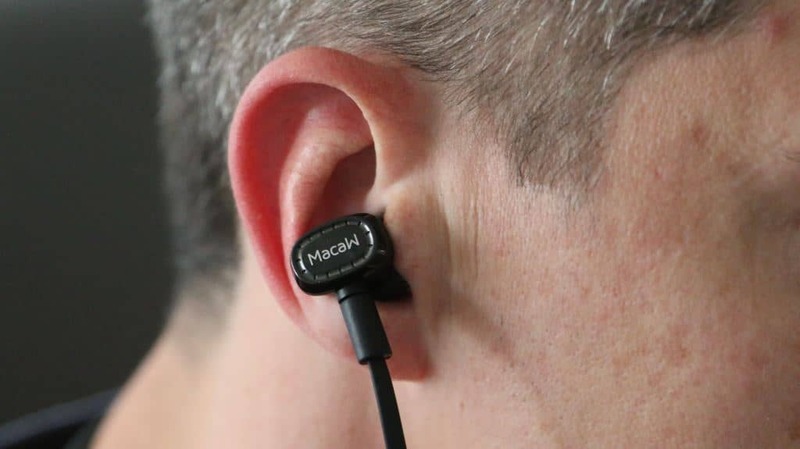 The micro USB plug on the power cable made at an angle of 90 degrees, so when installing the cable in your car it is easier to put the cable out of sight. The main use of the dash cam / car DVR is to install it in your car and attach it to the 12V car charger. The camera is equipped with a 240 mAh battery which enables you to use the unit for a while without having it plugged into the car charger. I tested it solely on the battery and it kept running for more than half an hour. However, I suggest having the dash cam always powered by the car charger. This prevents you from stopping halfway your trip to connect the dash cam that runs out of battery. 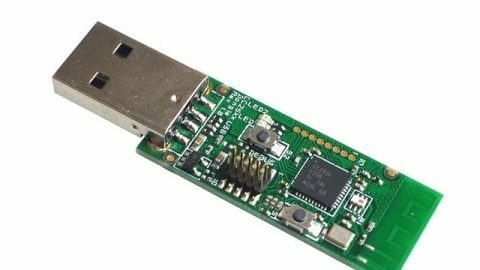 It’s also more convenient: when powered by the charger, the dash cam switches on when starting your car and safely (that is the battery is for) shuts down when switching off your car. The Xiaomi 70 Minutes Smart WiFi Car DVR is clearly aimed at the Chinese market. The manual is in Chinese and also the voice feedback from the camera is Chinese. This does not prevent you from having a good experience with the product. It captures movies during day and night of good quality. The accompanied 70mai app is basic but functional: you can have a live image (very useful when attaching the camera), start recording and take pictures and download the stored pictures and video’s to your phone or tablet. Also, the firmware can be updated through the app. 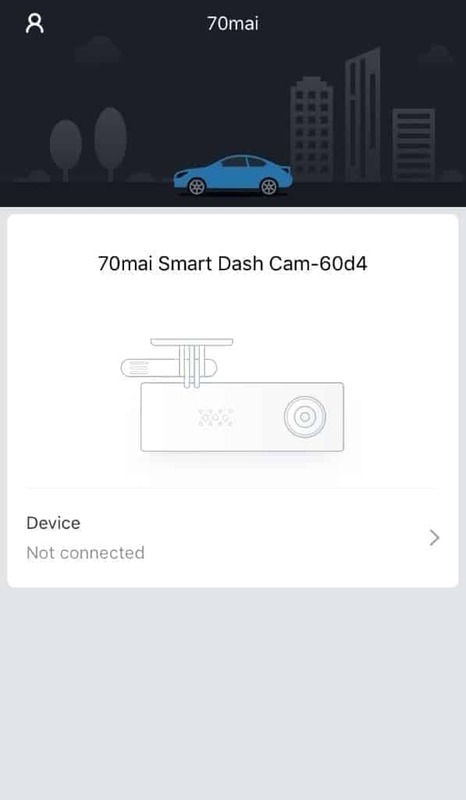 You can connect to the dash cam by connecting to the camera’s integrated WIFI network. Works very well. 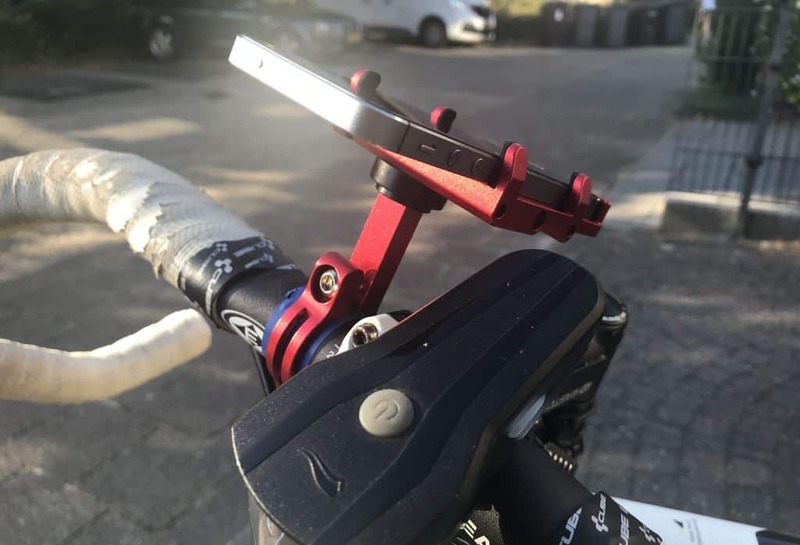 Although the camera is equipped with a shock sensor, it does not mean the shocks are stabilized. When bumps in the road resonate through the car they show up in the movies. The 130-degree view covers a big part of the causes some distortions in the images, but that is what you can expect from a fish-eyed view. The Sony sensor meets it’s expectations: it performs well during night and day. It cannot compete with the higher range dash cams, but for most of us, the image and video quality will be sufficient. There are a lot of dash cams on the market, at this price point, the Xiaomi 70 Minutes Smart WiFi Car DVR performs well because of the image sensor. Good images quality, also in low light conditions. 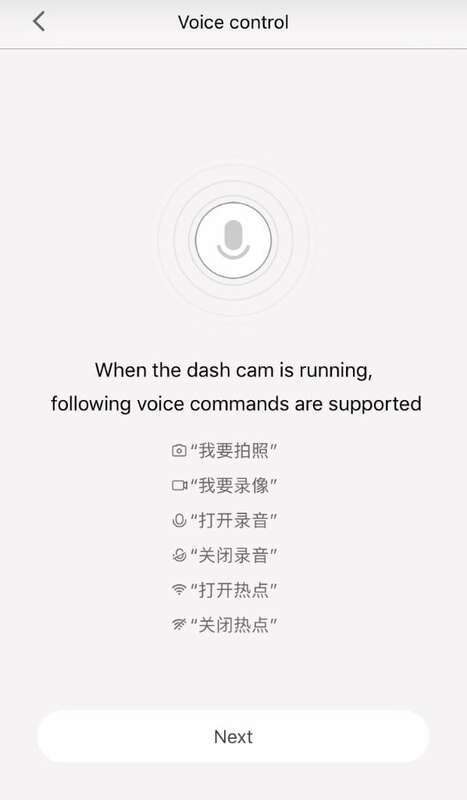 Feedback from the dash cam is Chinese. No internal storage / SD card not included. There are cheaper car DVR solutions available but these often come at the cost of image quality and usability. 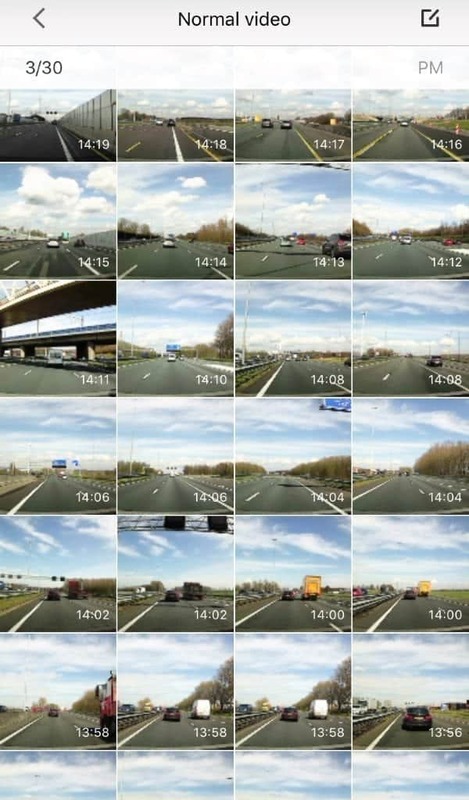 The Xiaomi is one of the higher end dash cams in the lower segment, because of its design, image quality (during day and night) and overall usability. If you are thinking about buying your first car DVR, the Xiaomi 70 Minutes Smart WiFi Car DVR is a very good option. Even when it is not your first dash cam, but you don’t want to pay the world for a car DVR, the Xiaomi is a good option, too. The only price you have to pay is that it talks Chinese. Personally, I don’t have an issue with that: e.g. if it tells you the battery runs low it also provides a red light indication, but you cannot mute the voice.